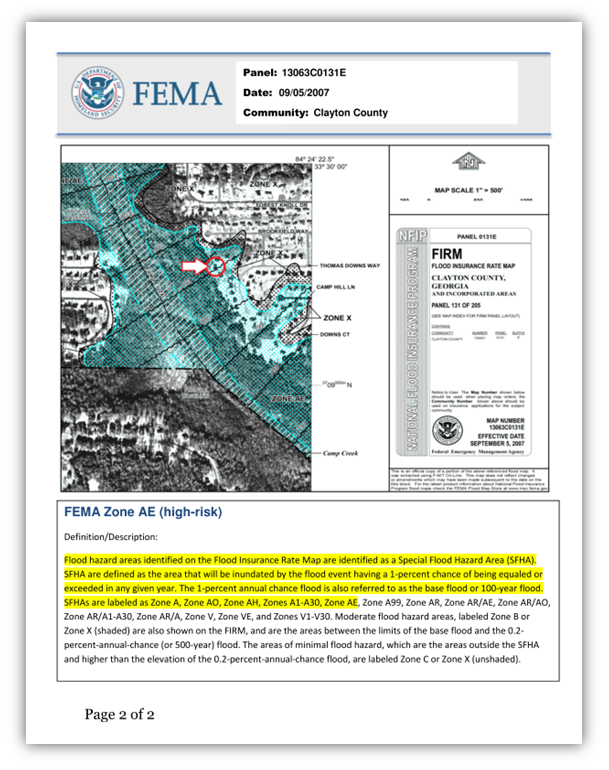 The SFHDF is used by Federally regulated lending institutions when making, increasing, extending, renewing or purchasing a loan for the purpose of determining whether flood insurance is required and available. 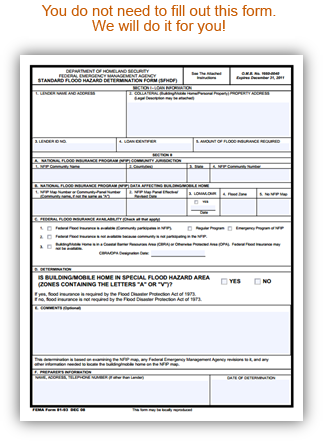 The form may also be used by insurance agents, property owner, realtors and community officials for flood insurance related activities and flood zone documentation. Second Look Flood specializes in manually researched determinations- No Computers. 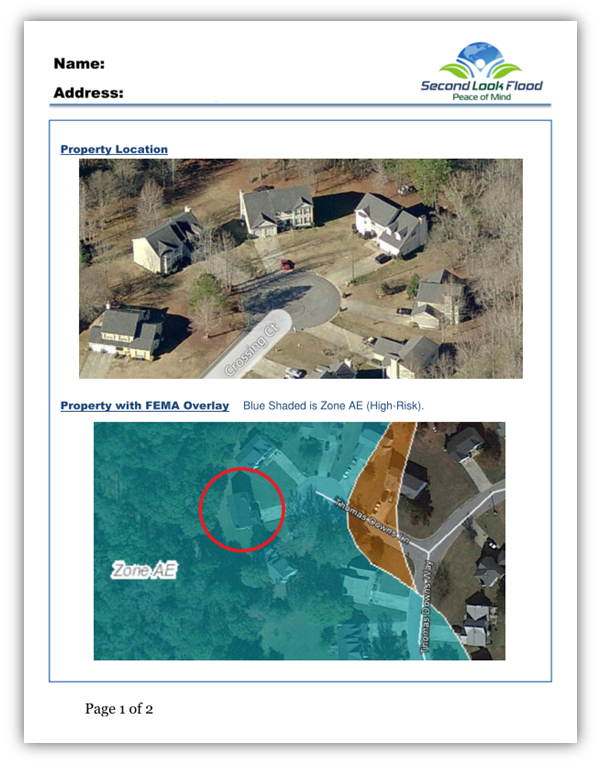 A flood map specialist and/or a certified floodplain manager manually researches each property ensuring unmatched accuracy.